Typically, red-carpet hair and makeup is more aspirational than anything we'd actually attempt to copy when we're rushing to look semi-awake on a Monday morning. Not all of us have the luxury of a glam squad or the hours needed to execute an Oscars-worthy updo. But if there's one show that's the exception, it's the Teen Choice Awards. Thanks to the guest list and laid-back nature of the night, the red carpet is always fresh-faced and fun, with celebrities rocking the kind of dresses you'd actually want to wear to prom and the fully-achievable loose waves and golden makeup to match. And to make it even better this year, many celebs were glammed out in beauty products that you can pick up on your next Target run. 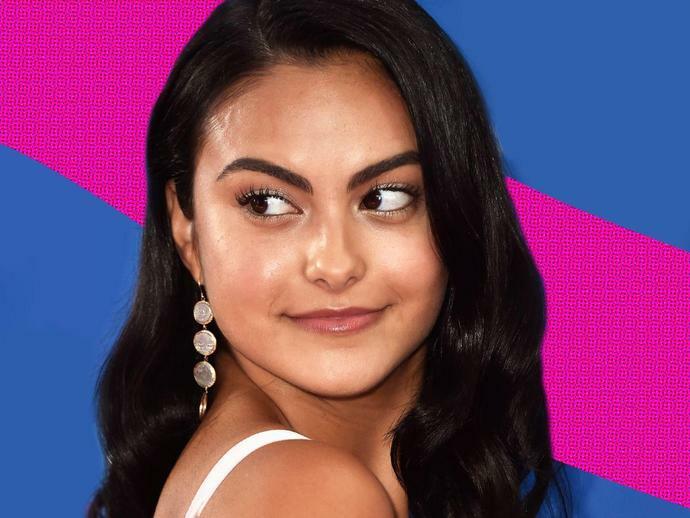 From Lili Reinhart 's glittery Essie nail polish to the shine sprayCamila Mendes ' hairstylist swears by, click through for the best under-$10 products, ahead. There is a lot of product out there - some would say too much. At Refinery29, we're here to help you navigate this overwhelming world of stuff. All of our market picks are independently selected and curated by the editorial team, but if you buy something we link to on our site, Refinery29 may earn commission.